How To Have A Good And Healthy Heart? 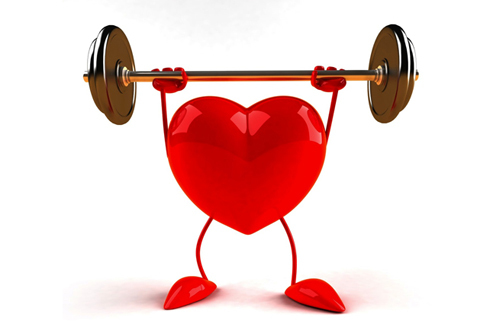 Home Cardiovascular Health How To Have A Good And Healthy Heart? The heart plays an important role; of pumping blood. Through this pumping, the heart makes sure that the body is getting all the necessary minerals and nutrients through fresh blood and later on the dirty blood are being purified. This is necessary for the body and because of this action a person is able to stay fit. Hence, our heart should stay healthy. Despite knowing the importance of a good and a healthy heart, there are people who don’t pay much attention towards its fitness and its proper function. One can easily blame the changing lifestyle. But, following are certain ways through which one can take care of the health by taking care of the heart. We are very well aware about the necessity of exercise in our life. Exercise helps you to keep your body weight under control and helps with the blood circulation. Furthermore, it also helps your heart to stay fit. The various benefits of exercises are interlinked. A healthy and fit body helps with the proper circulation of the blood. It also controls your weight which means that the heart doesn’t face any problem with circulation of blood. Hence, it stays fit and healthy. So, it is recommended for a person to exercise for the minimum of 30 minutes daily in order to have a good functioning heart. Whatever we eat turns into energy after digestion. This is necessary that one doesn’t eat those foods which aren’t good for your health for instance oily or fatty acid foods. These sorts of foods, after digestion, get dissolved in the blood and then cause the blockages in the vessels and arteries. 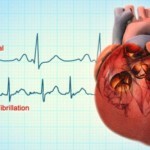 Later on, these blockages cause pressure on heart while pumping blood. This pressure isn’t good as it may even result in stroke heart attack. Hence, it is necessary that one takes proper food and avoid unhealthy foods. Smoking, for various reasons, isn’t good for the health; one such trouble is heart problems. The smoking affects the blood flow by creating blocks in the arteries and affecting various organs like lungs. Thus, those who smoke a lot have a higher risk of getting heart related problems. This should be avoided if one dreams of having a healthy and fit body. It is a known fact that obese people have a higher risk of heart problems. This is because the heart faces problem with circulation of blood and thus the pressure increases. Moreover, obese people are normally diagnosed with cholesterol problem; which is considered as the main reason behind heart problems like stroke. Thus, it is necessary that one keeps his/her body weight under control so that the heart can function well. This is the easiest way that one can do. Stress causes various troubles and heart problem is amongst them. When a person is stressed, the body releases a hormone which starts to affect the various organs. These hormones travel through the blood and reach the heart and affect it by blocking the arteries. This causes blood pressure which eventually can cause heart attacks. That’s why, be happy and avoid the problem. A healthy heart means a happy and healthy life. This is necessary that one follows these simple rules in order to have a healthy life and fit heart. Above all, one should visit to the doctor for the regular checkup in order to check the heart condition. A regular visit can help you lot by guiding you on how can you take care of your heart.